What if all of the assessment and evidencing now required by the SRA was just done for you! Five Minute Video Explainer For Solicitors Find out more about how use the new Datalaw system to comply with the SRA continuing competence scheme. Have you taken your SRA Self-Assessment? SRA’s new approach to CPD focuses on continuing competence and is built around compliance with Principle 5 of the SRA Handbook which stipulates that solicitors must ‘provide a proper standard of service to your clients’. 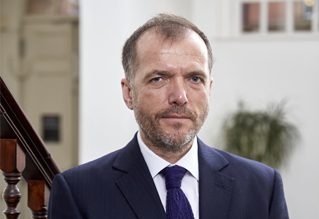 As such, all practising solicitors regardless of area of law must now complete continuous CPD training in the four key areas using a five step procedure. How Does Datalaw's System Work? The online, 23 question, multiple-choice, SRA Self Assessment that our experts have created allows you to effortlessly reflect on the four areas mandatory of training. From your Self Assessment answers, our system will automatically create a bespoke training plan for your training needs. The training plan also suggests easy to watch courses that you can access directly from the training plan. All action items in your plan can have a notes section allowing you to evaluate your progress. If you have done the training item via other methods such as in-house training, this can be quickly recorded with prefilled descriptions in the Action Items Note section. Once you have started a course from the training plan, progress is automatically tracked by the system and is recorded directly in your training plan. Automatically evidence all your CPD Wouldn't it be great if every second you spent training was tracked, organised and recorded automatically for you to evidence to the SRA? You're in luck! Our new CPD Tracker gives you instant access to view all your CPD training. Tracking start, end and completion time and date, your unique CPD tracker builds up a complete picture of your training. All training evidence can be filtered by the date and printed with the push of a button for SRA evidencing. It even allows you to view a breakdown of which areas you have been spending the most time in! Reflecting on training you have done is a major part of the New SRA Continuing Competence. But writing your notes, organising and remembering where you have put them can be a hassle. With Datalaw you can write notes on the course page as you watch. All your notes are safely stored on the course page and can be downloaded whenever you want. No more waiting around for certificates to come in the post. With Datalaw once you have completed a course just click the trophy button and instantly view your certificate. All your certifications are safely stored on your account for any-time access and can be printed off at the push of a button. No more wasting time sifting through long course lists or searching Google for the answer to your training questions. 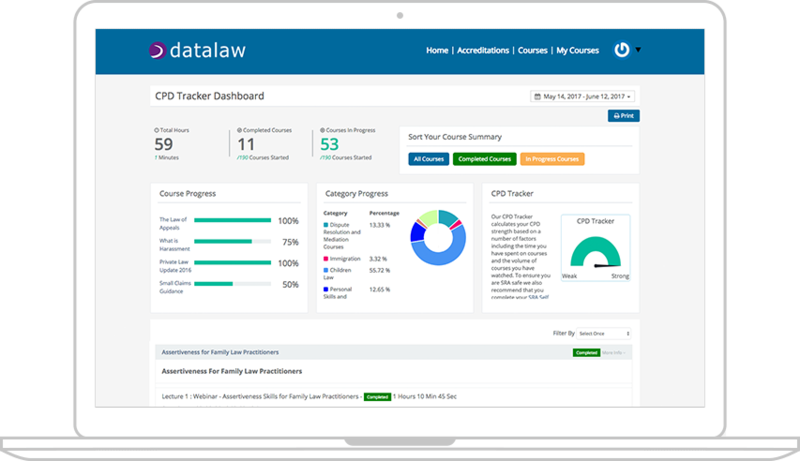 With Datalaw's My Courses Panel it's really easy to find the training you need. All the courses you have access to are formatted and searchable in an easy to read format. What if you have a question regarding a subject that wasn't answered in the training videos? No Problem! All our courses come with a Comments Forum so you can ask a question or make a comment as soon as it pops into your head without ever leaving the course or even pausing the video. Other course attendees and instructors can see your questions and can reply in the forum. Keep all your training records in one place. 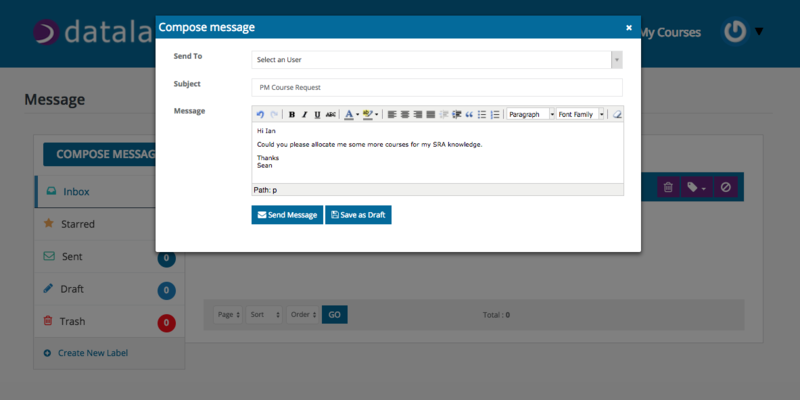 All Datalaw users can message instructors, their practice managers or our support desk right from their Datalaw account. Training is not just about learning it is also the delivery of training. How clear and concise was the content? What was missing from the content? What was great about the content? We have made all our courses reviewable and use your feedback to make our courses even better. The quote above is from Stuart Nolan one of the most highly regarded criminal defence lawyers in Britain. Stuart's team at DDP Law were one of the first firms to adopt Datalaw's new platform and with their feedback we have ensured that all our features are solicitor friendly. Made by solicitors. For Solicitors! Datalaw's new software was created through a combination of solicitor testing and over 18 months of legal technical team analysing the new SRA requirements. The result, an easy to use powerful platform that that quickly enables your solicitors to meet their new SRA requirements. Watch the video below to hear from our Managing Director and a testimonial from one of the firms that that we worked closely with during the development stages of creating our platform. Get Instant access to a free webinar for solicitors including content on the new SRA changes, how they affect your solicitors and what you can do to ensure your solicitors are SRA safe.